I had full intentions of blogging about my pregnancy. But then the symptoms started and I was nauseous and exhausted for the first five months. I felt a little better during my second trimester, but used that available energy to get the nursery ready. And by the time the third trimester came, I was scrambling to finish editing and publish my book. My water actually broke a few hours after I finished proofreading my manuscript. Perfect timing, right? 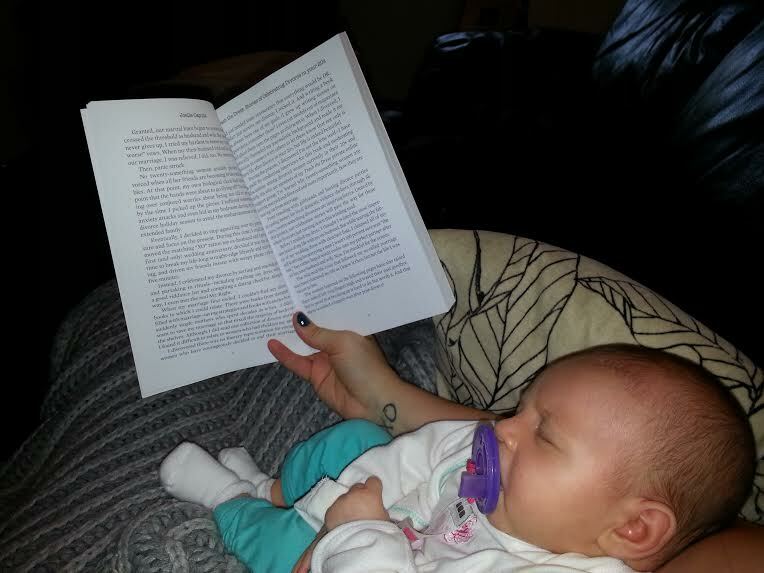 I gave birth to two dreams in 2014: my daughter and my book! Here I am with both. Now that I’ve settled into mommy life, I’m going to post my adventures moving forward and also backtrack some things I would liked to have documented along the way, like baby shower decor, etc. I also enlisted in some mommy friends to join me. You’re gonna love them! Next PostMy baby’s crib is beautiful, but she won’t sleep in it!